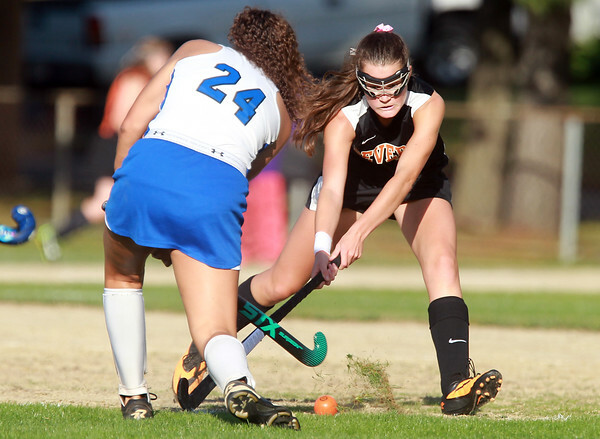 Beverly's Grace Otterbein, right, and Danvers' Katie Odonnel (24) fight for a loose ball on Tuesday afternoon. DAVID LE/Staff photo. 9/16/14.